President Donald Trump unloaded on deputy FBI director Andrew McCabe and former FBI director James Comey this weekend, accusing Comey of being a leaker and McCabe and his wife of accepting donations from former Democratic nominee Hillary Clinton while investigating her email use. Trump and his allies have mounted an intense campaign against perceived bias and anti-Trump sentiment within the FBI in recent days. Legal experts say the claims are a “cynical distraction” and “political noise” meant to distract from special counsel Robert Mueller’s Russia investigation, which is getting closer to ensnaring the White House. 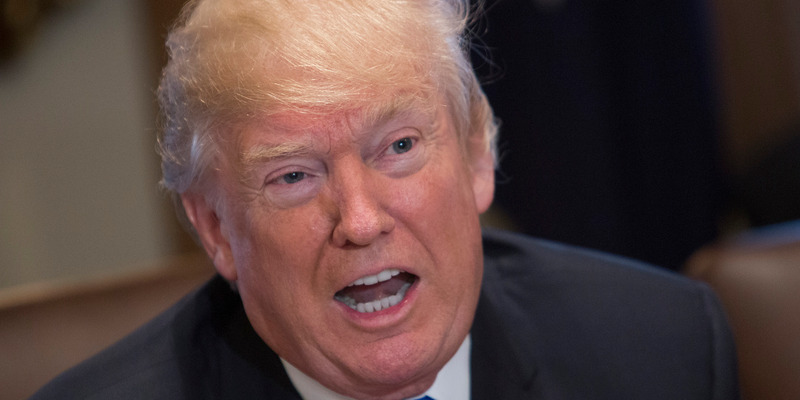 President Donald Trump kicked off Christmas Eve on Sunday by railing against deputy FBI director Andrew McCabe on Twitter, continuing a tirade that started Saturday. The tweet came on the heels of two others Trump blasted out on Saturday, criticising McCabe and former FBI director James Comey. “How can FBI Deputy Director Andrew McCabe, the man in charge, along with leakin’ James Comey, of the Phony Hillary Clinton investigation (including her 33,000 illegally deleted emails) be given $US700,000 for wife’s campaign by Clinton Puppets during investigation?” Trump tweeted. Alex Wong/GettyActing FBI Director Andrew McCabe waits for the beginning of a hearing before the Senate Intelligence Committee with the other heads of the U.S. intelligence agencies in the Hart Senate Office Building on Capitol Hill May 11, 2017 in Washington, DC. The intelligence officials were questioned by the committee during the annual hearing about world wide threats to United States’ security. 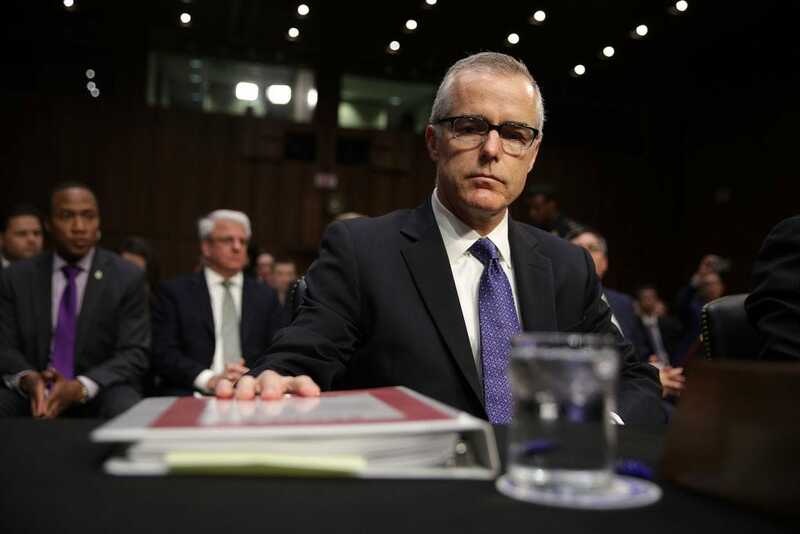 McCabe’s wife, Dr. Jill McCabe, mounted an unsuccessful run for a Virginia state Senate seat in 2015. Her campaign received $US675,000 in donations from the Virginia Democratic Party and from Common Good VA, the super PAC run by Democratic Virginia Gov. Terry McAuliffe, a longtime Clinton supporter. None of the donations came from Clinton or her family. McCabe was also not in charge at the time of the bureau’s investigation into Clinton’s use of a private email server to conduct government business. He took on an “oversight role” in the investigation in February 2016 – long after his wife lost her election bid. Comey, who was FBI director at the time, was tasked with making the final decisions in the Clinton email probe. Trump also referred to a Washington Post reportSaturday saying McCabe plans to retire in early 2018, when he is eligible for full pension benefits. It’s not the first time the president has attacked Comey and McCabe, particularly as the FBI’s investigation into Russia’s interference in the 2016 election – and whether the Trump campaign colluded with Moscow – ramps up. “Problem is that the acting head of the FBI & the person in charge of the Hillary investigation, Andrew McCabe, got $US700,000 from H for wife!” Trump tweeted in July. McCabe became acting FBI director after Trump fired Comey in May, while Comey was spearheading the Russia investigation. 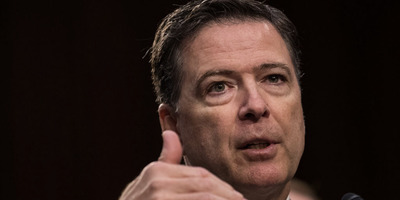 The White House said Comey was fired because of the way he handled the Clinton email investigation and that the decision was based entirely on the recommendation of Deputy Attorney General Rod Rosenstein. But Trump later told NBC’s Lester Holt that “this Russia thing” had been a factor in the FBI director’s dismissal. Comey’s firing now makes up the basis of an obstruction-of-justice case that special counsel Robert Mueller is said to be building against Trump. The president labelled Comey a “leaker” after Comey told the Senate Intelligence Committee in June that he had shown a memo documenting his private conversations with Trump to a friend, Columbia Law School professor Daniel Richman, who then informed The New York Times of its contents. Comey and McCabe, as well as several other veteran FBI officials, have been targeted or investigated by Trump’s Republican allies in Congress in recent weeks. Many of them are calling for renewed scrutiny of Clinton’s email use, as well as the 2010 Uranium One deal, when the Obama administration allowed the Russian nuclear energy firm Rosatom to acquire Canada-based Uranium One, which had significant mining stakes in the US. The deal, which Republicans have painted as evidence of collusion between Clinton, then FBI director Robert Mueller, and Russia, made its way back into headlines in October. Though Trump’s allies have pointed at the deal as damning evidence against Clinton, extensive reporting and fact-checking found no signs of wrongdoing. A number of Republican lawmakers also began calling for McCabe’s replacement when it emerged that Mueller ousted Peter Strzok, a widely respected counterintelligence investigator on his team, after Strzok exchanged text messages in 2016 with FBI lawyer Lisa Page that were critical of Trump. McCabe testified before the House Intelligence, Oversight, and Judiciary committees on Thursday about his conversations with Comey about the Russia investigation and, in particular, the Clinton email probe. He also answered questions from Republicans on the House Intelligence Committee about how the FBI was using the Steele dossier – an explosive collection of memos alleging several ties between Trump and Russia – as a roadmap for its investigation. The dossier has been a point of contention between Republicans, who allege that it was created as part of a liberal smear campaign against Trump, and Democrats, who say the document’s claims are worth investigating regardless of who produced it. The president and his allies have mounted an intense campaign against what they perceive as bias and anti-Trump sentiment within the FBI’s ranks. They, as well as Trump’s legal defence team, have also called for a second special counsel to investigate alleged corruption within the bureau and the Department of Justice, as well as Clinton’s activities. Legal experts, however, say the claims are a “cynical distraction” and “political noise” meant to distract from Mueller’s investigation, which is getting closer to ensnaring the White House.